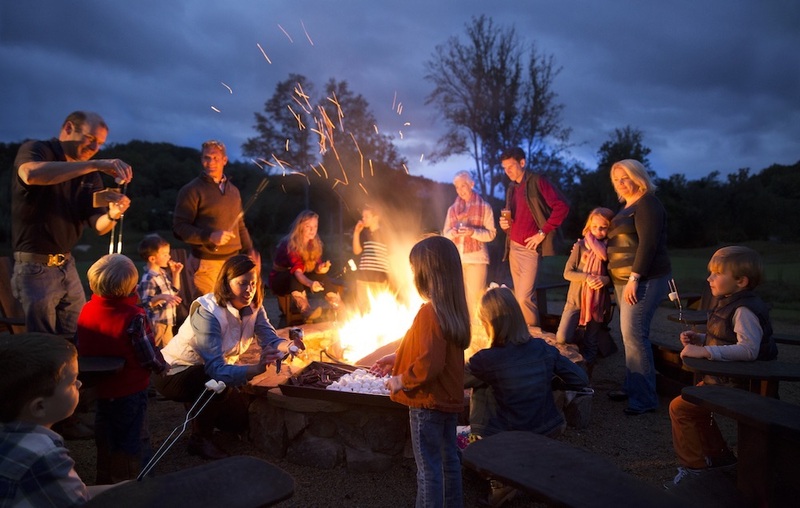 The bustling upstate New York town of Saratoga Springs offers a wide variety of vacation options, with the best usually found in August. 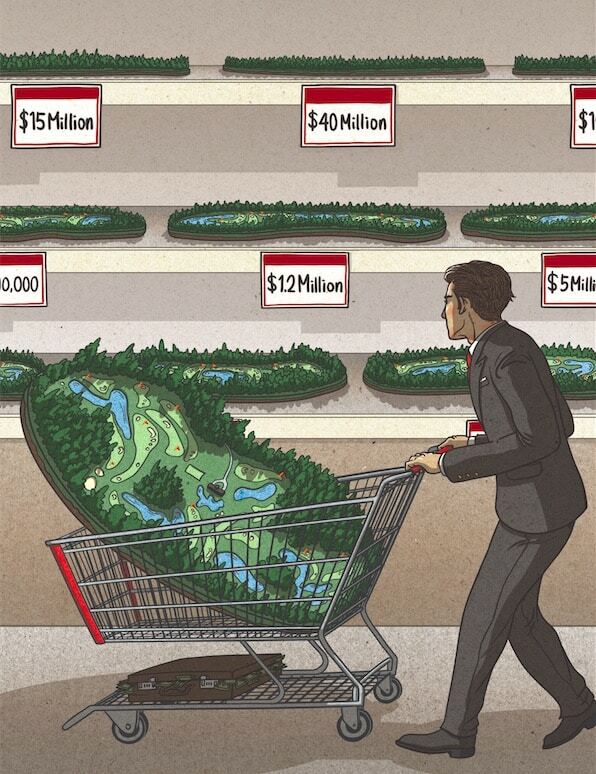 That’s when the abundant area golf courses are at their greenest, and the color green—as in cash—is busting out all over at the storied Saratoga Race Course. In “The Season,” July 21 to Sept. 4, some of the world’s finest thoroughbreds race for millions, with major Grade I Stakes races contested on Saturday afternoons—The Whitney (Aug. 5), Alabama Day (Aug. 19), and the biggest of all, The Travers (Aug. 26). 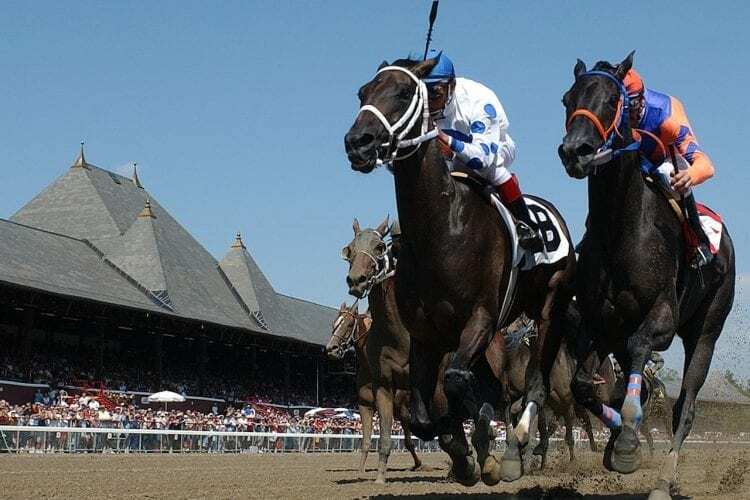 Combining horse racing and excellent golf in Saratoga Springs makes for an exciting end of summer vacation, along with fabulous culinary choices. And all summer, the Saratoga Performing Arts Center (SPAC) offers big-time entertainment. MORNING: Saratoga National, an upscale public course, opened in 2001 and was designed by Roger Rulewich, a former apprentice of Robert Trent Jones Sr. Sixteen tee shots require a forced carry, including each of the four long par threes. The clubhouse has an excellent dining room. AFTERNOON: The Top of the World course in nearby Lake George offers a challenging layout and breathtaking scenery with the Adirondack Mountains as backdrop. OFF-COURSE OPTION: Some believe the Battle of Saratoga was among the more pivotal battles of the Revolutionary War. At Saratoga National Historical Park the battlefields are beautifully preserved, with walking tours as well as audio tours that let you see the highlights from the car. EVENING: Wheatfields is a superb Italian restaurant that makes all its own pasta. MORNING: Wake up early for your first taste of “The Spa,” as Saratoga Race Course is called. Have breakfast at the track and watch the horses go through their paces. There’s plenty of time for Saratoga Lake Golf Club, in the heart of a lush forest 10 minutes from downtown. AFTERNOON: The Sagamore, built in 1928 and overlooking Lake George, is a splendid mountainside course designed by Donald Ross and fully restored to his original blueprints. EVENING: Across from the track is Siro’s, where the drinks are stiff (to help you forget what you lost) and steaks are melt-in-your- mouth delicious. MORNING: Airway Meadows Golf Club, located halfway between Saratoga Springs and Glens Falls, is an outstanding public facility that plays to about 6,500 from the tips. AFTERNOON: The Queensbury Country Club in Lake George is only a 30-minute drive from Saratoga Springs and offers spectacular views of the Adirondacks. Green fees are reasonable, and if a mid-day nap is necessary, they have early-bird and late-afternoon specials. OFF-COURSE OPTION: Lake George. Hop on one of many tourist boats that cruise the beautiful, 32-mile-long lake, or slip into a bathing suit and take a dip in its refreshing and very clean water. EVENING: The Lodge, less than two miles from the track, may be the finest gourmet restaurant in the area. The dining room is large, the pours from the bar generous, and in August there’s a piano man playing your favorite songs. The Saratoga harness track is almost within walking distance and also has a casino. MORNING: Saratoga Spa Golf Course is nestled among the majestic pines of the historic Saratoga Spa State Park. 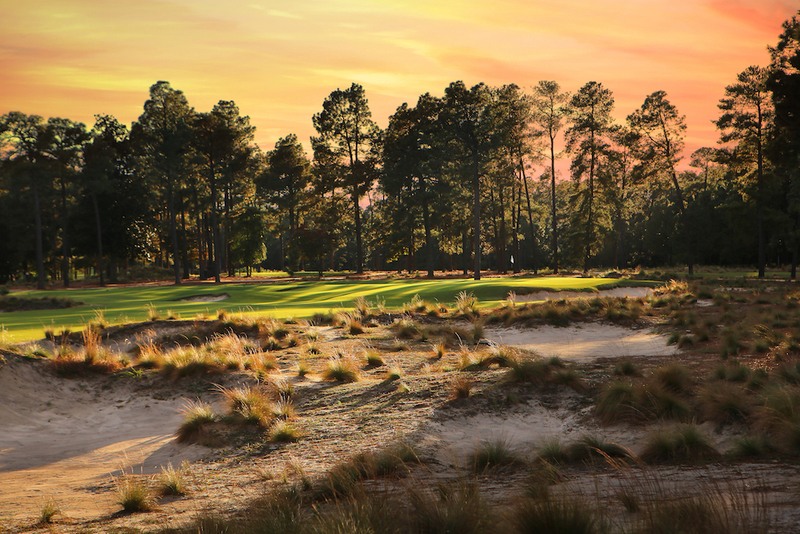 Its Championship Course makes many lists as one of the Best in the U.S. for under $55. AFTERNOON: Lunch at the park’s Catherine’s restaurant then drive a quarter-mile to play the nine-hole executive course, with two challenging par fours and some excellent par threes. OFF-COURSE OPTION: Sore from golf? Saratoga is famous for its healing sulphuric waters. Still in the park is the Roosevelt Baths & Spa that offers massages and other treatments to heal body and soul. EVENING: Ten miles from town is the famous Wishing Well restaurant, where bountiful meals are served family-style and you can’t go wrong with the fried chicken. Back in town, The Parting Glass is an Irish pub with live music and many craft-beer choices.